NICE PRICE !!! - Incl. 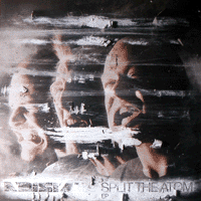 "Split The Atom" (Original), "Split The Atom" (Ed Rush & Optical Remix), "Split The Atom" (Bar9 Remix) und "Browntime". After the massive succes of the Machine Gun EP with its awesome remixes by Amon Tobin, 16Bit & Spor its time for another one. This time the immense title track Split The Atom gets a massive rework by none other then Virus Don's Ed Rush & Optical & Dubstep rudebwoys Bar9. While both known for their own signature sounds & productions it was only logical for these guys to rework the catchy Split The Atom and bring it to new heights! And if that isnt enough check out side D for Browntime.